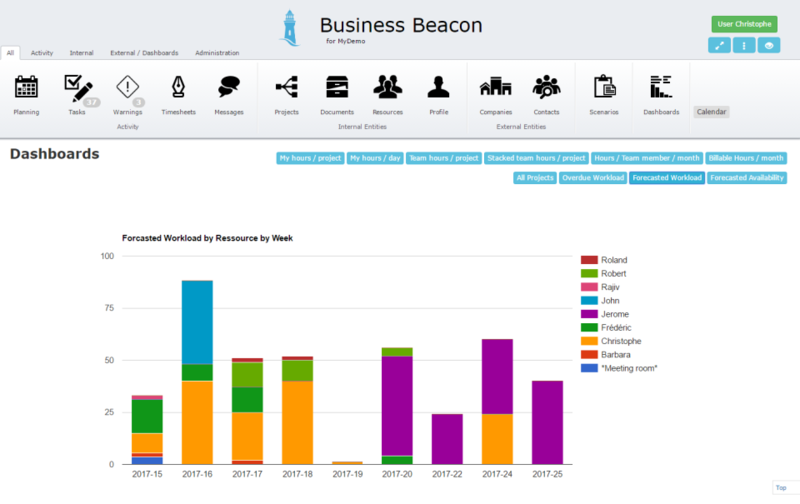 Business Beacon is a web based application (SaaS) which will make your team happy at work by providing : Availability of information (reinforcing the feelings of autonomy, belonging and recognition), Transparency of information (reinforcing the feelings of fairness, security and trust), Clarity of information (reinforcing the feelings of serenity, commitment and fulfillment). We are strong believers that a happier team is also a more engaged, more productive team! 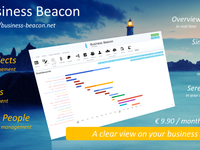 Business Beacon Reviews Recently Reviewed! Pros: Ease of use. Great dashboard offering clear view of business parameters. Cons: Automatically customizable header not yet available. Must be done manually. Overall: Easy and straightforward time sheeting. Pros: Originally, we were looking for a app to monitor ressources across multiples projects. Excell was giving us a real headache. 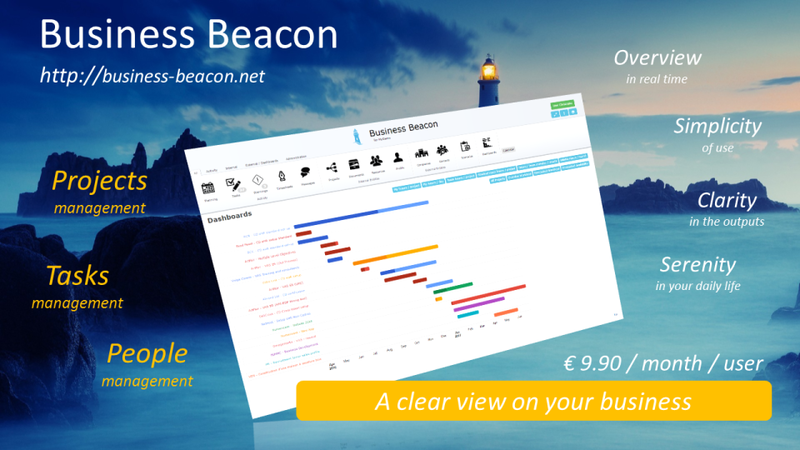 Business Beacon offered us a great support in this matter in a very simple way. Also, sharing documents across various projects - in a secured way - was a breeze! 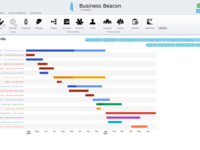 The usage of Business Beacon is very simple and intuitive. 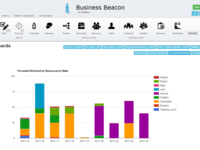 Overall: Business Beacon allows us to set up complex configurations ( various projects with various access permissions ) in a easy and powerful way. Cons: Encoding tasks but, paradoxically, that's what makes all the benefits of this project management application. Afterwards, everything rolls with remarkable efficiency without your intervention! 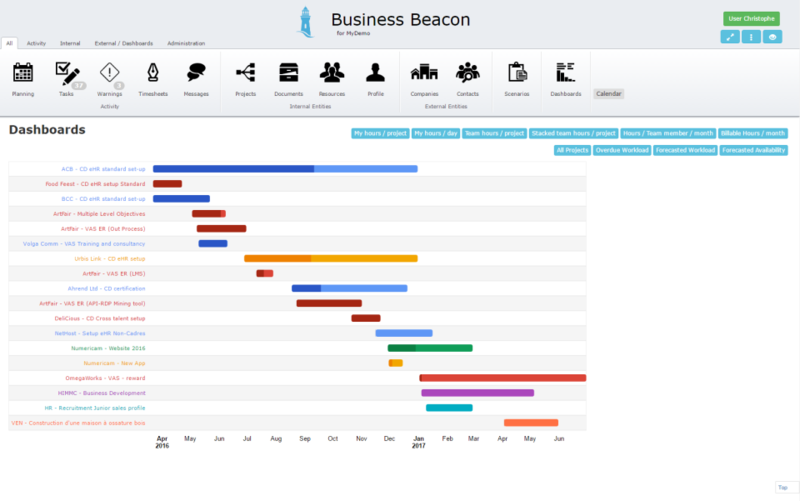 Business Beacon allows you to see and understand the entire project while allowing everyone to be guided individually. Following the correct start encoding, time sheets are automatic and billing is also done. That time gained in addition to excellent cohesion for the team.